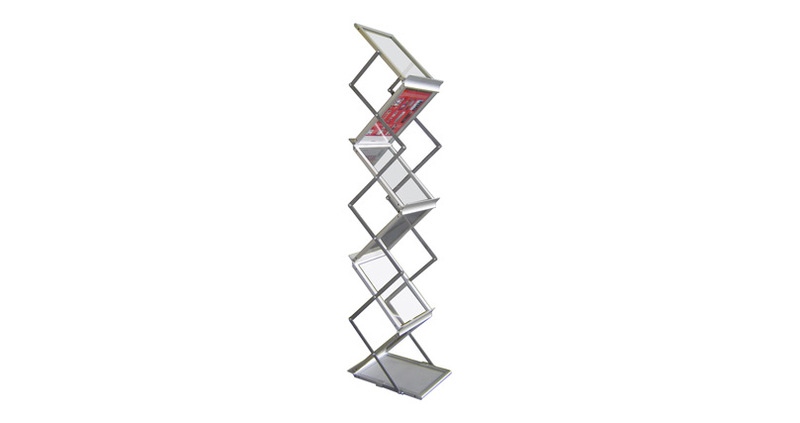 Our Standex brochure stand folds and unfolds in one simple movement, which makes it incredibly easy to assemble and disassemble. It also fits easily into a carry case, which makes transporting it between locations a breeze. 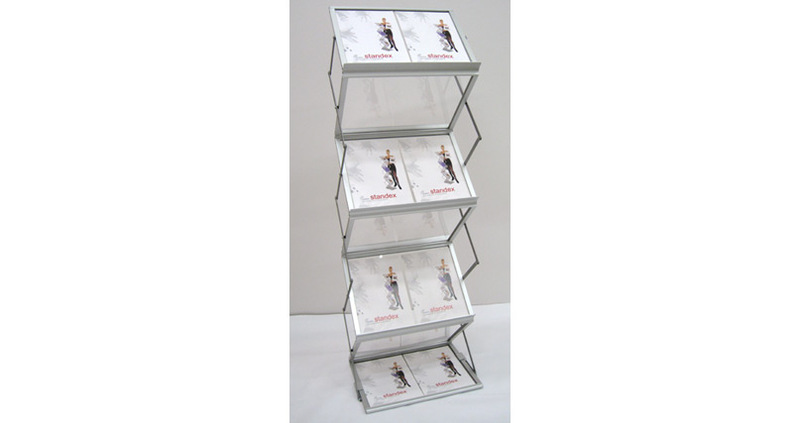 The stand comes with six trays with a 25mm lip to hold a decent supply of marketing material. The trays can be either A4 or A3 in size – as the A3 tray is twice the width of the A4 one, it can be used to display a single A3 document or two A4 ones side-by-side. 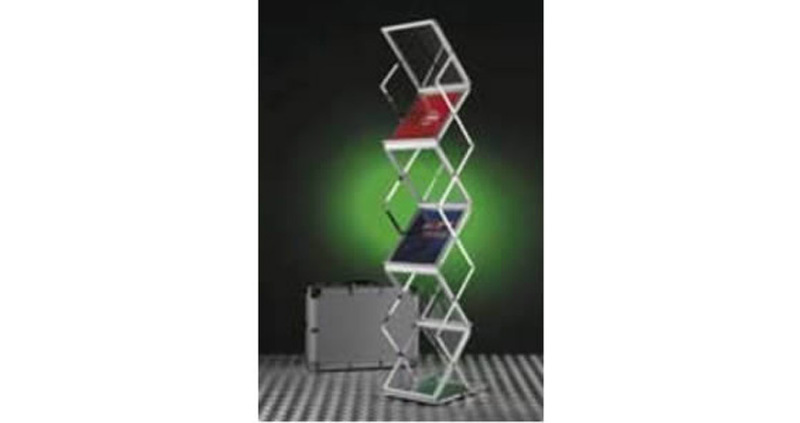 The stand is manufactured to the best possible quality, is well finished and is highly stable, so you can rest assured it will serve you well for many years to come. It is well suited to high traffic environments where knocks and bumps are commonplace. What is the size of the stand when fully erected? 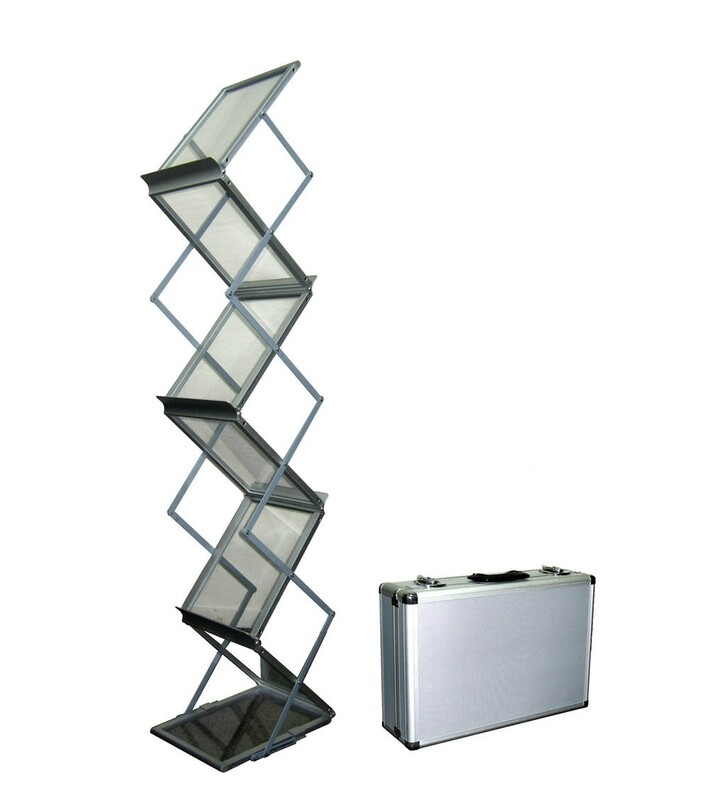 When set up, the stand will be 1365mm high x 300mm wide x 360mm deep. Rest assured that it will fit into whatever space you have available. What is the orientation of the documents? If you have opted for A3 documents, they are landscape orientated. If you have opted for A4 documents, they are portrait oriented.